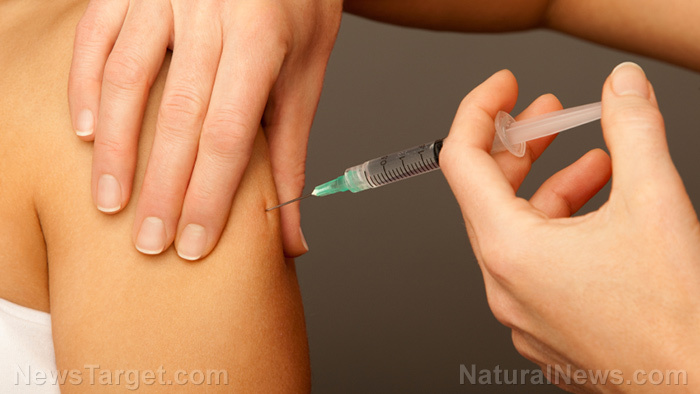 (Natural News) Influenza season is upon us once again, and this year the mainstream media is going hog wild with reports about a deadly new strain of circulating “wild” flu that’s said to be exceptionally virulent. But before you rush out to get a flu shot as “protection,” you might want to take a closer look at what the science has to say about the safety and efficacy of these often-hyped jabs. During a recent interview with Mike Adams, the Health Ranger, vaccine truth advocate Dr. Suzanne Humphries shared her expertise about flu shots, explaining how the adverse events she observed in conjunction with their use was what drove her to more deeply investigate the nature of vaccines at large. In the process, she discovered that flu shots really don’t work, and often cause more problems than they’re said to prevent. Her book Dissolving Illusions is filled with this information as well. She discusses concepts like antibody-dependent enhancement, a vaccine-induced phenomenon in which proteins that would otherwise prevent viruses from entering cells actually facilitate their invasion. She also discusses other concepts like original antigenic sin, also known as the Hoskins effect, which is basically vaccine-induced damage to the immune system that overrides its ability to naturally ward off disease. Dr. Humphries is well-versed in these and many other aspects of vaccination that most of her critics have likely never even heard of, let alone understand. And much of this translates to her understanding about the flu vaccine, which she says is completely useless in most cases, and stands to harm more than help. The media loves to spread the narrative that people are dying left and right because they aren’t getting their flu shots, but Dr. Humphries points to vaccines as the most likely culprit. “Some of the most pro-vaccine scientists have been writing about this for years,” says Dr. Humphries about the common occurrence of flu shots actually giving people the flu – or worse. You can watch the full video interview between Dr. Humphries and the Health Ranger on YouTube or on Vimeo. As a nephrologist, Dr. Humphries also observed plenty of cases of liver damage associated with flu shots. It very well could be that these non-influenza viral infections are putting enormous strain on bodily systems such as the liver, which for many patients ends up developing into full-blown liver disease. It’s much better, in her view, to not get the flu shot – or any shot, for that matter – because the human body is naturally equipped to not only fight pathogenic invaders when presented with them, but also to develop an immunity to them. And unlike vaccine-induced “immunity,” which never lasts and is questionable to begin with, natural immunity lasts a lifetime. “I’ve pretty much studied vaccines more than I’ve studied any other subject in medicine – more than I’ve studied nephrology, and probably more hours than I put in for medical school, because I feel really driven to do it and it doesn’t feel like work to me,” says Dr. Humphries. Stay informed by reading Vaccines.news. Next : Bitcoin prices artificially pumped up by Bitfinix “Tether” fraud?